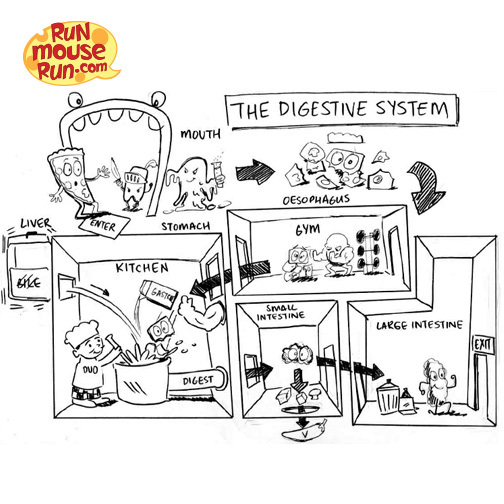 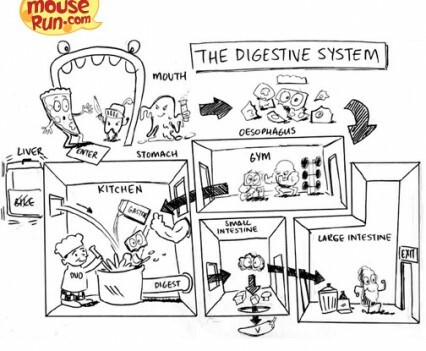 Workshop at Applecross Senior HIgh for Science Week 2015: the digestive system in comic form. 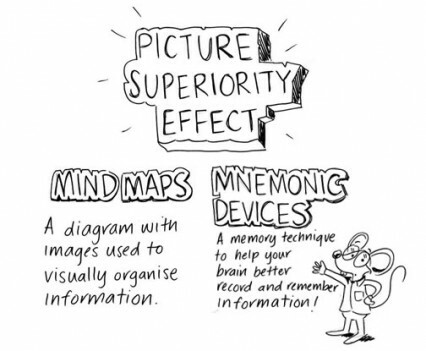 When I was a student, my study notes consisted of images, scribbles, diagrams and mind maps. 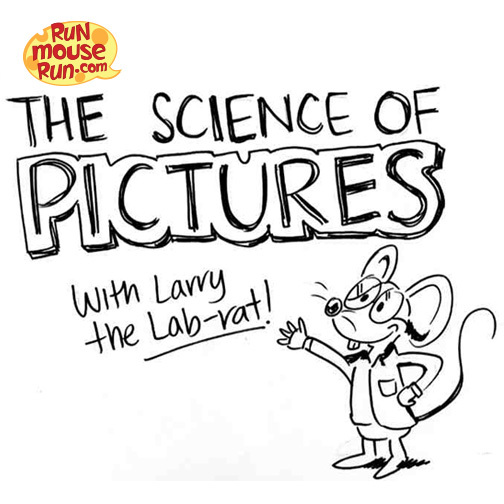 It was an easy way for me to recall information in exams and classroom tests. 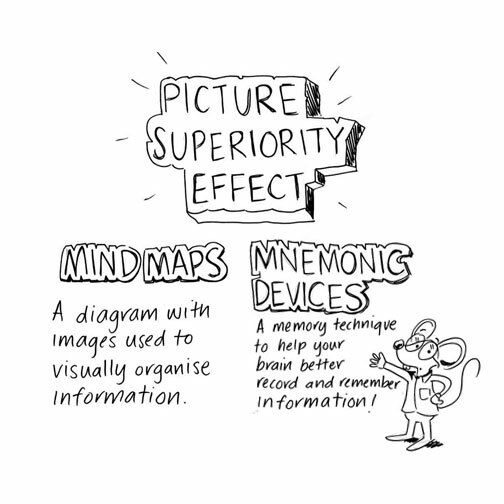 Based on the Picture Superiority Effect which suggests that mnemonic devices (like pictures) are more easily remembered than words, Run Mouse Run’s Mnemonics Workshop, takes students through the techniques of using diagrams and images to visually organise information in their memory. 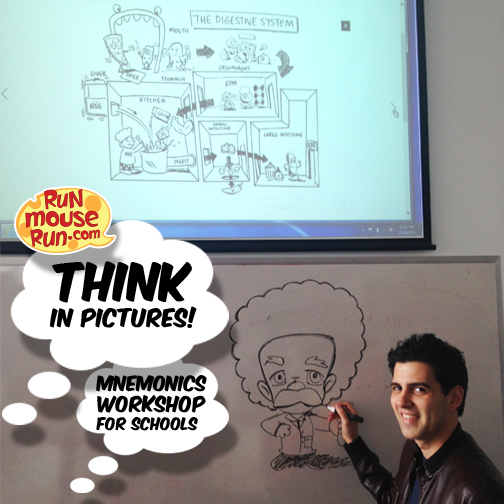 Workshops are fun, engaging and beneficial for students who find they are struggling with usual learning techniques. 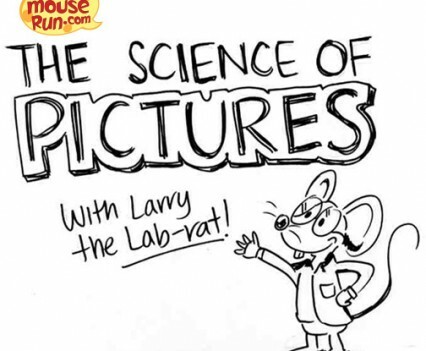 Contact Mike to talk about an appearance at your school.